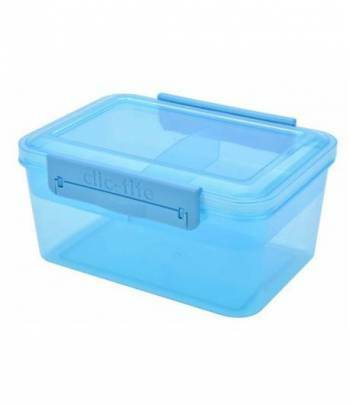 Clic-Tite 1.1L Rectangular Trio Sandwich Box - Turquoise. 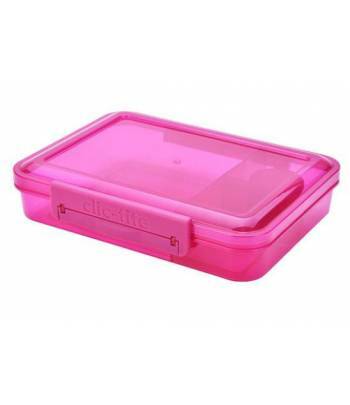 This Clic-Tite Trio Lunch Box has three sections so it is easy to keep different parts of lunch separated. 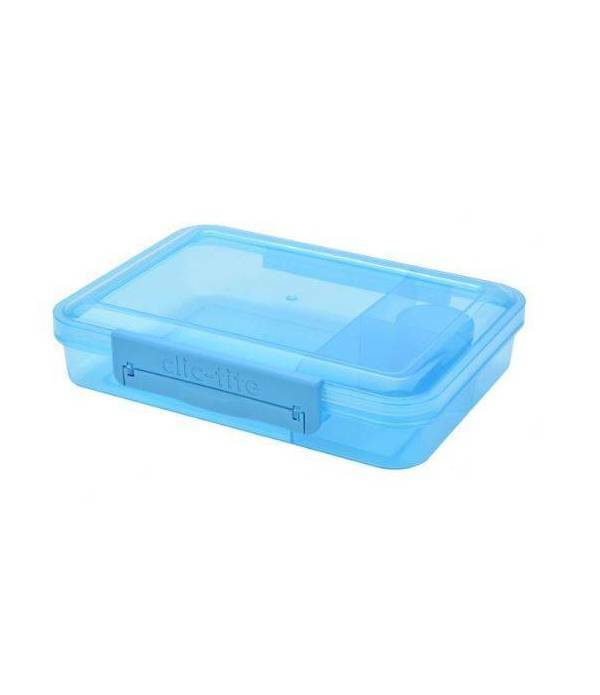 The main compartment is perfect for a sandwich or a salad and the smaller compartments are ideal for small snacks such as cherry tomatoes, mini crackers or cookies. 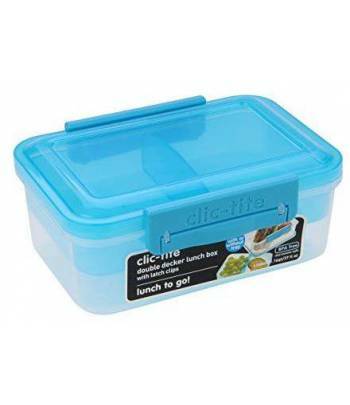 A 30ml salad dressing pot is included with this product so a salad can be kept crisp and dressed just before eating. 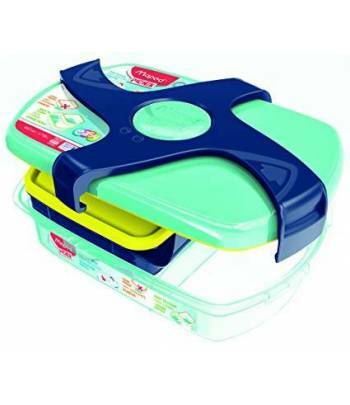 This lunch box has an integral liid and a simple to open latch clip. 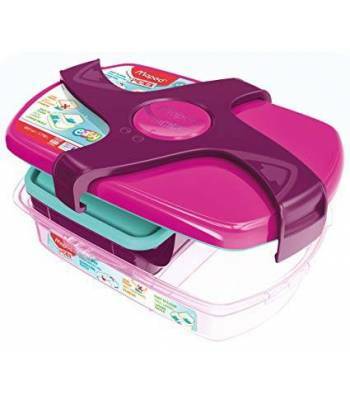 Dishwasher (top rack) safe and can be used in the freezer and microwave too! 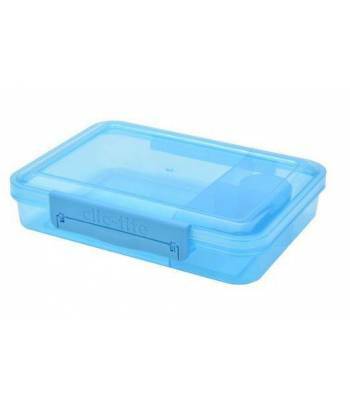 BPA free, 6cm (H) x 22cm (W) x 16cm (L).